May 30, 2013, Winter Park, FL – Phil Kean Design Group introduces its first multi-family project: Luxé Urban Town Homes in Winter Park, Fla. to be built at 125 S. Interlachen Avenue. Featuring modern architecture and warm, open interiors by award-winning Phil Kean Design Group, 125 S. Interlachen represents luxurious comfort in a spacious and private sanctuary only steps from Park Avenue’s shoppes, cafes and trendy boutiques. 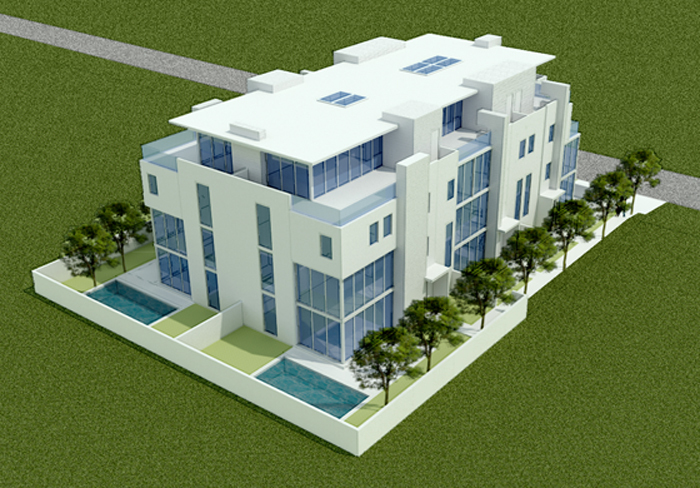 This 6 unit urban town home is currently under development with a target completion date of Spring 2015. Click here to fly around modern architecture!